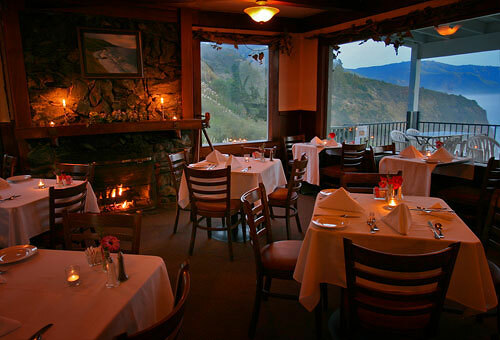 n keeping with the family owned tradition of Lucia Lodge, the lodge restaurant offers true home-style cooking. Virtually all of our dressings and sauces are made from scratch on the premises. Enjoy fireside dining in our historic dining room or take in the fresh ocean air on deck. 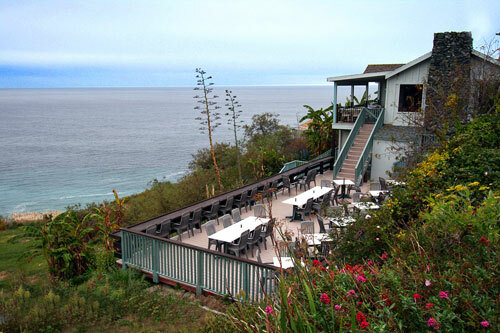 Either way, beautiful vistas of the coast accompany your meal. 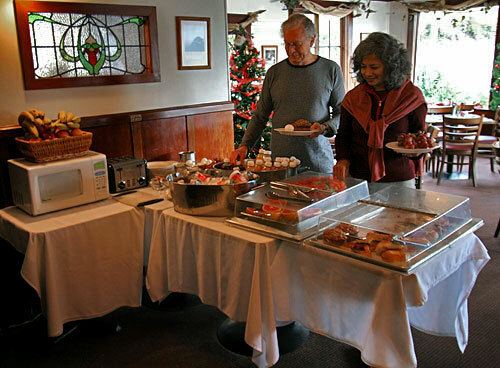 Lodge guests are also invited to join us for a free continental style breakfast each morning. 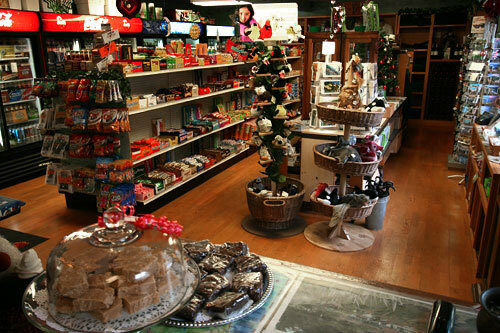 The convenience store and gift shop is open from 8 AM to 8 PM daily in season (till 9 PM weekends). The store features deli items, beverages, select wines, grocery and camping supplies, and a host of fresh baked goods prepared by our resident baker, Tom. The gift shop, located within the store, has a collection of books, cards, souvenirs and local art such as jade jewelry. Picnic tables are available for the convenience of our guests. Ice is available to lodge guests as well as free limited WiFi*. Free continental breakfast. Let us know of any special needs before you arrive and we will do our best to accommodate. * Satellite internet. Email, social media, web surfing only. No streaming or downloads. 1000MB cap.